This February we have been so proud to partner with some amazing organisations, Levis, Youth Club Archive, Ravensbourne University London and Somerset House on our series of fashion workshops to coincide with London Fashion Week. All of the participants are young people living in hostels or temporary accommodation across London. 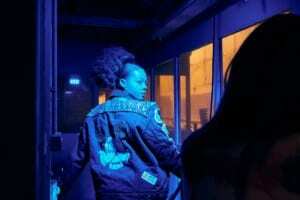 Youth Culture was the theme of this project, with expression through fashion being the aim. Our participants worked throughout the week on their creative skills. They customised the classic Levi’s denim Trucker jackets (the fashion icon of youth culture). The jackets were so kindly donated to the project by Levis UK – thank you! Customising, adorning and decorating the jackets created an extremely individual, unique and personal look and the results were phenomenal! It allowed the group to express their thoughts, feelings and experiences in a creative and visual way. 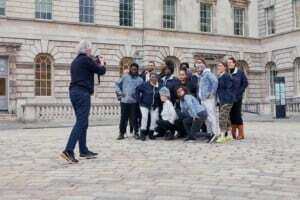 At the end of each day of creativity we photographed the group outside the iconic buildings of Somerset House in Central London. We were so lucky to have renowned photographer Duncan Raban work with group, encouraging them to model their creations with confidence. The Accumulate participants worked consistently over 5 days. They came to every workshop at 10am and finishing at 5pm, travelling across London to attend. This is a major indication of their sense of achievement, drive and ambition and really shows how much this project meant to them. The finale to our week was a fashion shoot with Youth Club Archive at Printworks London in Surrey Quays. This amazing location has a real industrial edge, such a great backdrop to our shoot. Here our participants had the chance to be models and fashion photographers for the day! We we thrilled to welcome some amazing make artists from the London School of Media Makeup and the London School of Make Up to make the group feel glamorous for the shoot! Participants took turns modelling their customised jackets and photographing each other, practising their camera skills on set. The group were really overwhelmed with what they had produced and achieved within such a short period of time. They were so proud of themselves, something that can often be denied to them because of their circumstances. We could not have achieved this ambitious and successful project without the support and involvement of our partners and of course the amazing Accumulate participants. Learning photography at Accumulate isn’t just about learning photography. Accumulate is all about learning. learning new skills, learning about photography and for the young people involved, to learn more about themselves and their potential. One thing Accumulate also tries to do is to vary the learning styles we use as much as possible. So, even though, we are delivering photography workshops every week and the participants are learning to use DSLR cameras and how to take good photographs, the learning also comes from industry speakers, visiting galleries and exhibitions, doing activities and developing personal skills (such as communication, time management and self-discipline skills) in a comfortable and trusting environment. This is all part of a journey that the participants go on. It is a journey of self -discovery, such as when the group did the portrait workshop at Photofusion and wrote letters to their future selfs. 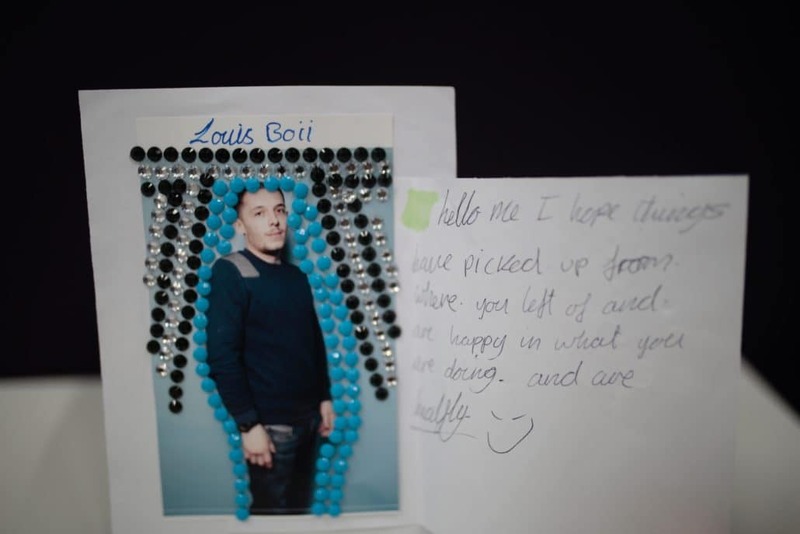 They decorated their portraits with stickers and jewels and shared their insights and letters with each other. It became a situation where people opened up and talked about their hopes for themselves. Sharing and learning together at the Photofusion workshop. Louis shares his letter to himself in 15 years time. 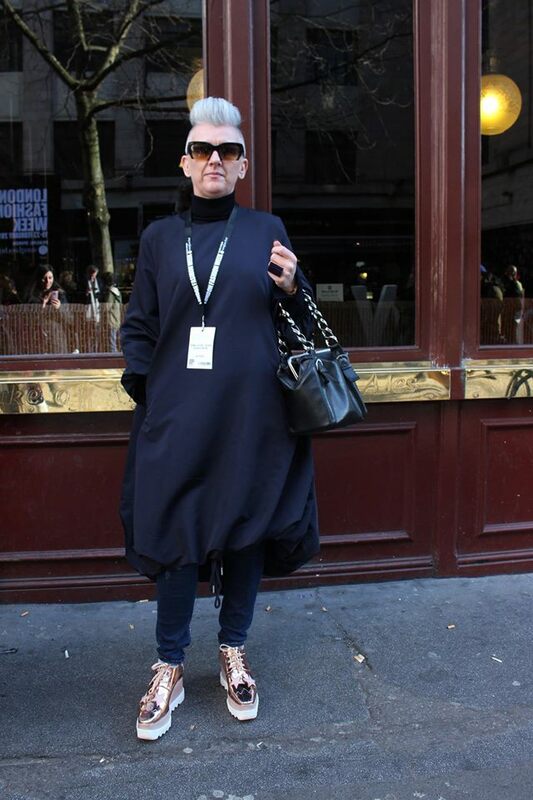 A really popular, and very exciting, annual Accumulate photography workshop is the visit to London Fashion Week where the group photographs all the fashionistas who hang about outside the shows. This year, we held the “pre-workshop” at Somerset House and invited three fashion industry speakers to tell of their stories, their set-backs and achievements. 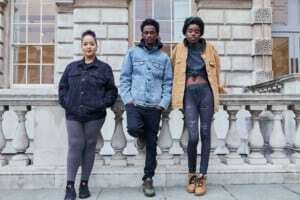 One of the speakers was Tori Taiwo, a fashion designer and photographer, who had been previously homeless, and told the group that their situation should not be used to hold them back but can be turned into something positive. A really hard hitting, powerful and heart felt message for the Accumulate group, and Tori spent time speaking about how her own personal negative situation which became a force for eventual success. All it took her was self-belief, grit, determination and resilience. And those don’t cost anything. Jay shares his photograph with a fashionista at London Fashion Week. And so the Accumulate photography workshops have now come to an end for 2017 and the selection process starts for their exhibition. The last workshop the group had was a street photography session which took place in Shoreditch. Shoreditch is all about of crazy graffiti, Hoxton hipsters and cool cafes, but this last Accumul8 workshop was actually about learning that everyone had been on an incredible life journey. They had become more confident, happy, made new friends and were enthusiastic and energised by their new skills. This is true for the Accumulate participants and also the Ravensbourne students. Just young people who enjoy learning, sharing and being with each other. Roll on the Accumulate exhibition! 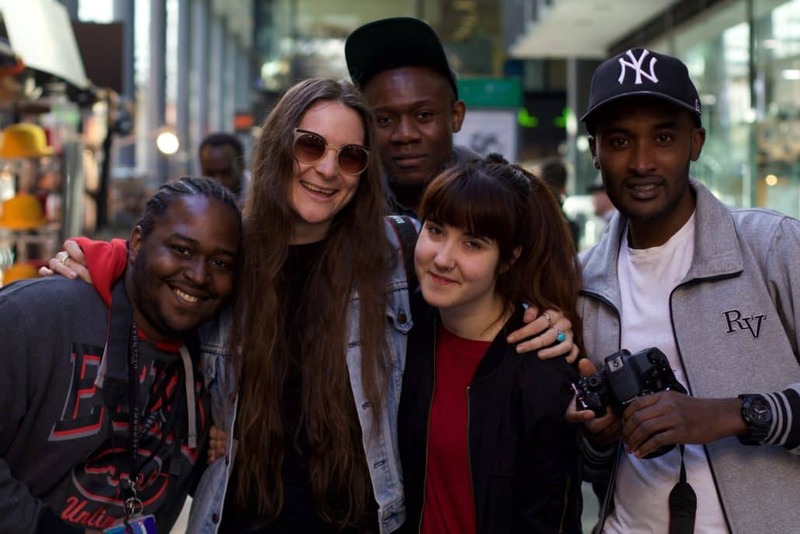 Geron, Claire, Deluxe, Sabela and Younis at the Accumulate Shoreditch workshop. 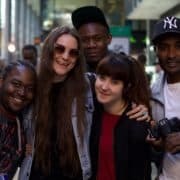 https://accumulate.org.uk/wp-content/uploads/2017/03/Geron-Claire-Deluxe-Sabela-and-Jay-at-the-Accumul8-Shoreditch-workshop..jpg 4000 6000 Marice Cumber https://accumulate.org.uk/wp-content/uploads/2018/06/Accumulate-Logo.png Marice Cumber2017-03-25 21:21:352017-04-02 20:31:11Learning photography at Accumulate isn't just about learning photography. 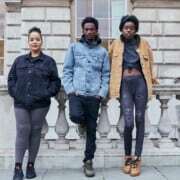 When Accumul8 did the London Fashion Week project, Birdsong London came along too to talk to the group about their own social enterprise. 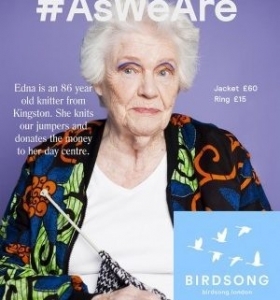 Birdsong is a project which sells fashion products made by women’s groups which actively work to improve women’s lives. The meeting of the two groups was also a way to introduce the issues surrounding women, fashion, identity and empowerment. The talk went down a storm, and the group were so interested in what founder Ruba Huleihel had to say, that they asked her to stay on and carry on talking after the photography workshop was finished. 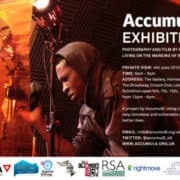 Check out their blog about Accumul8. Thanks to Ruba of Birdsong for being so brilliant and inspiring!! 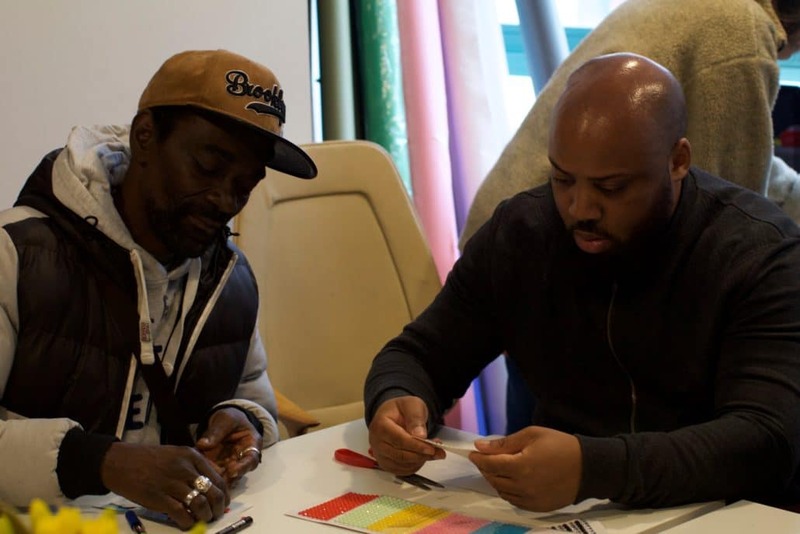 So it’s now March 2016, and we are half way through delivering the series of photography workshops to young homeless people living in hostels across London. Three hostels are involved: the North London YMCA Hostel, the East London YMCA Hostel and the group of Evolve hostels in south London. Working with multiple hostels has been a really positive experience, with friendships and links being formed between the hostel residents and also between them and the student helpers. Connecting the students and residents has been a hugely positive result, they are two groups of young people who wouldn’t have met otherwise. Barriers have been broken down and new connections have been made. A couple of cool dudes, street photo taken by Dan Fifield, resident at Evolve Hostel. Every week on the project we have tackled a different subject matter as a theme for the photography workshop, including portraits, street photography, performance and identity. We have run a workshop with the Barbican to tie into their upcoming “Strange and Familiar” exhibition and also have used the experience of visiting Tate Museum and seeing the “Performing for the Camera” show as inspiration for more creative photography and image making. A highlight, so far, has been the London Fashion Week workshop. This started with a talk about the impact of fashion blogs, how to set up in the industry from young, fashion designer Lamula Nassuna. There was also a talk by Ruba Harounni (who runs social enterprise Birdsong London) about how fashion can empower individuals. 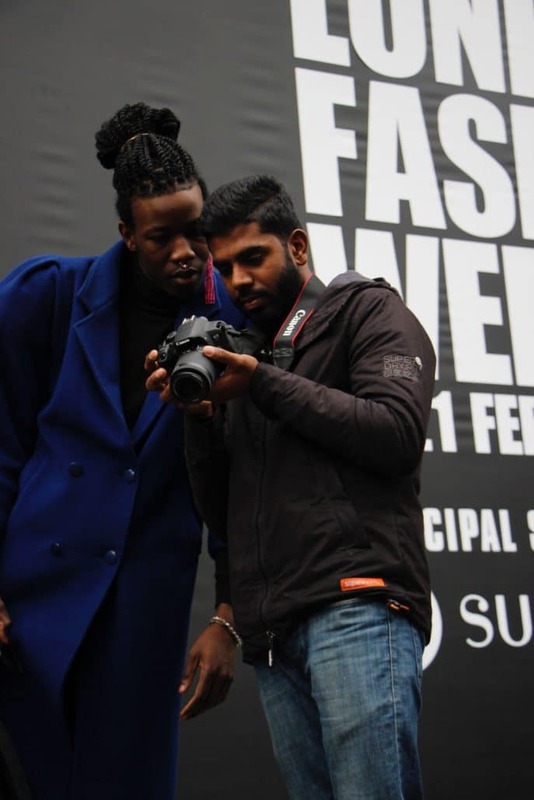 Isaac, in the grey sweatsuit, taking a photo of Tinie Tempeh at London Fashion Week which featured in Vogue.